Dien Bien (VNA) – The Huoi Cang-Huoi Dap cave complex in Pa Ham commune of Muong Cha district, the northwestern province of Dien Bien, has been recognised as a national relic site by the Ministry of Culture, Sports and Tourism. The complex is located at a height of nearly 500m above the sea level on a limestone mountain area known as Pom Tham Be. Huoi Cang and Huoi Dap caves are about 450m from each other and surrounded by forest, fields and some smaller caves. Huoi Cang Cave has a total length of over 1km while Huoi Dap Cave is 350m long. Each of them consists of three main sections with many small branches. 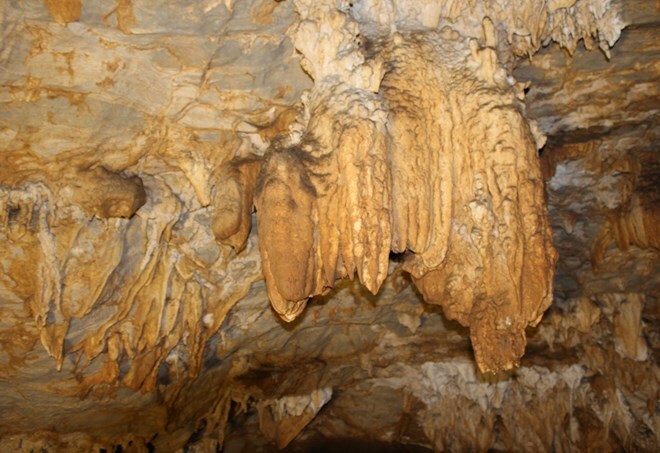 Both are full of stalactites and stalagmites in various shapes. They are considered natural masterpieces with rich values in terms of geology, geomorphology, topography, climate, biology and landscape.